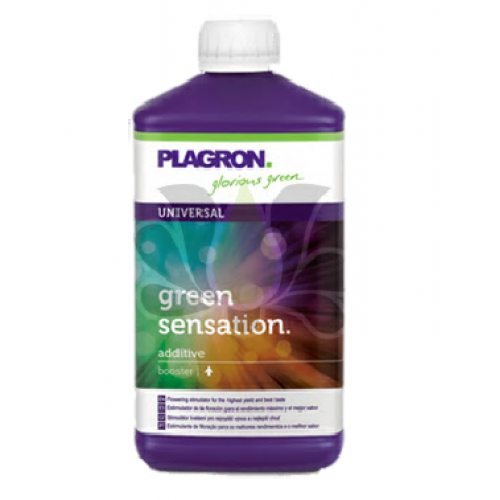 Plagron Green Sensation is a powerful booster that ensures a high yield. This booster is specially developed for the last four to six weeks of the flowering stage. The sophisticated composition in Green Sensation provides all the nutrients the plant needs. It provides an abundant flowering and fruit set, a hard cell structure and the best taste.